What do you know about Petite Sirahs? Most people don’t realize that this grape is a distinct grape variety, an offspring of the Syrah grape and the Peloursin grape, with a history going back to France in the mid 1800s. It is particularly relished for its deep purple color, and its rich berry and plum flavors that are sometimes accompanied by tastes of chocolate and black pepper. It is relatively rare with less than 10,000 acres planted worldwide, although it is now mostly grown in California. 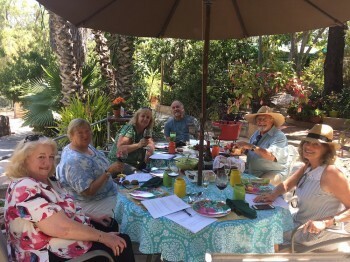 So we were particularly thrilled recently to meet with a group of wine writers to sample a variety of California Petite Sirahs on the lovely, tropically landscaped patio of San Diego wine connoisseurs, Robin and Marc Simpson. These Sirahs were graciously provided by Jo Diaz of PS I Love You, a Petite Sirah advocacy organization. All the Petite Sirahs we tasted were good and several were exceptional. Here are our tasting notes along with comments on food pairings. We noted that because of their intensity and richness, Petite Sirahs pair especially well with flavorful meats and spicy foods. While you might not consider Petite Sirah a summer wine, it actually goes nicely with barbecued and grilled meats served at summertime cook-outs. Parducci, 2013 Small Lot Petite Sirah from Mendocino County: We were especially interested in this wine because it came from the lovely Northern California Mendocino area, which has the ideal climate (hot days and cool nights) for nurturing Petite Sirah grapes. Our tasters agreed this was an excellent wine with its deep, ruby color; its berry and chocolate nose; and its spicy, rich fruit flavors, along with strong tannins on the finish. 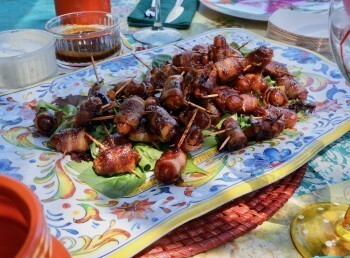 This wine enhanced delicious bacon-wrapped dates with hoisin sauce and also other meat dishes. With an amazing retail price of $15, this wine is a wonderful buy for its quality. Rock Wall, 2012 Le Mur De Roche from Carver Sutro Vineyard in Napa Valley: This was the most expensive wine we tasted at $60 retail, but it was also the favorite wine of the day. (At the end of the tasting, we voted on our favorite wines.) While I don’t always think tasting notes accompanying wines are accurate for my palate, this wine’s notes were spot on. The notes said the wine exhibited blackberry liqueur, crème brulee, coconut cream pie, black tea, orange zest and French vanilla. How could one wine have all these tastes? I tried to detect all these flavors and I actually did (especially, surprisingly, the coconut cream pie), along with cherries and raspberries. This wine went well with its intended pairing of a savory duck pate, but it also was a great match for grilled, blackened pork spare ribs with a spicy seasoning. This was a stellar Petite Sirah, and, as they say, it was true to typicity or to the expected characteristics for this varietal. Parducci, 2014 Reserve 2014 Petite Sirah from Mendocino: This was another of the group’s favorites. Wine & Spirits Magazine agreed, giving it 92 points on their wine rating scale, while Wine Enthusiast gave it a 91. 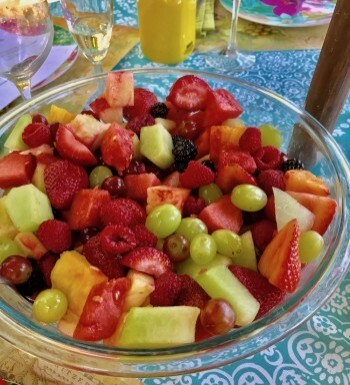 Because of its heavy infusion of ripe fruit flavors, this well-balanced wine was enhanced by a refreshing fruit salad with lots of melon and berries. The caramel and chocolate tastes in this wine made it almost seem like a dessert wine, although it was not sweet and had intense tannins. Wine & Spirits suggested that aging of ten years or more will make this wine even better. At $20, this wine is another great buy for its excellence. Merisi Wines, 2014 Diener Vineyard Petite Sirah from Lake County: It was a great idea to pair this bold wine with meatloaf and fried green onions. The meatloaf was so much more flavorful after a few sips of wine, which also brought out the spicy zing of a tasty curried potato salad, another good cookout dish. The wine’s tastes were rich with blackcurrant and rich berry flavors along with chocolate, smoked wood and vanilla. This wine retails for $35. 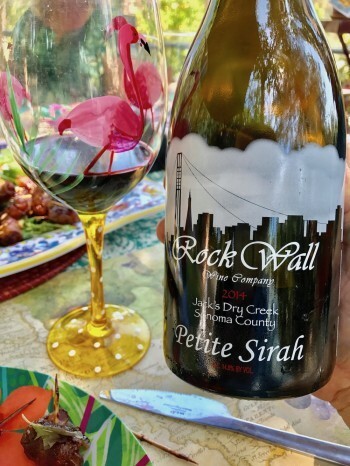 Rock Wall Wine Company, 2014, Jack’s Petite Sirah from Sonoma County: The bouquet was heavy with berries and the tastes were zesty and smoky with nice minerality and acidity. This wine was paired at our tasting with a delicious raspberry and blackberry crostata, which was a nice pairing because the fruit flavors complemented each other. The retail price is about $35. Bogle, 2015 Petite Sirah, grapes from Clarksburg and Lodi: This is a wine you see regularly in grocery stores and is a nice drinking wine to pair with a variety of dishes, with its earthy, blueberry tastes. It generally retails at around $9 so you can't beat the price. 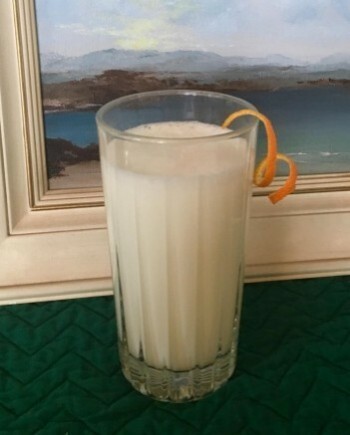 Sometimes we just want an inexpensive wine to sip and this might be it. Hart Vineyards, 2014 Petit Sirah, from Brookside Vineyard in Temecula: This intense, vibrant, ruby-colored wine, which is 95% Petit Sirah with a touch of Zinfandel, is lush with deep fruit flavors and long-lasting tannins. This was another favorite that paired really well with BBQ ribs and meatloaf. This wine retails for $38. Petite Sirah has not been a wine I would normally consider for a summer cook-out, but now I will. I was so impressed with the distinctive richness of these wines and they are generally very affordable. 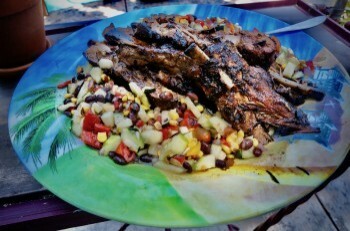 So who is coming over for ribs and a great Petite Sirah? My only challenge is choosing from so many great options. Photos taken by Todd Montgomery and group photo by Deirdre Michalski.